The CRC Kosher Application is your guide to the list of products recommended by the Chicago Rabbinical Council including Slurpees, Beverages, Starbucks products, Beer/Liquor, Spices and even Passover 2011 information. 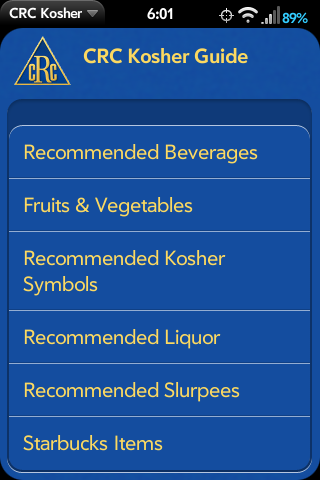 For fruits and vegetables, the app indicates whether or not the produce is recommended and how to check for insects and infestations. 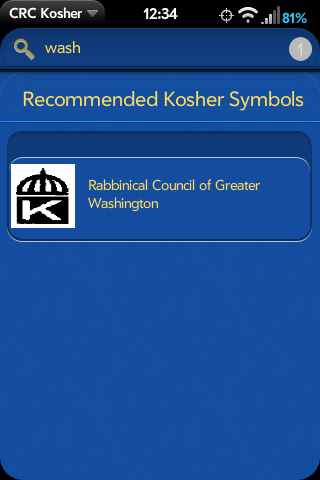 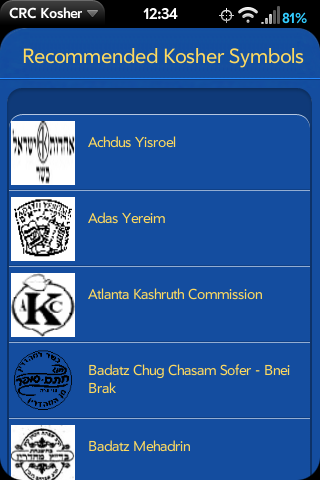 In addition the CRC Kosher app contains the list of kosher symbols and certification agencies recommended by the CRC. All categories provide a search capability as well as the option of sharing the information with others via email or SMS. 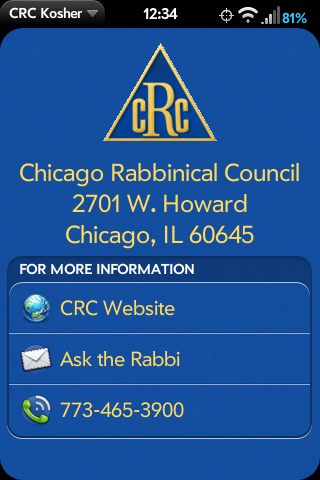 **NEW: In version 0.7.0, we have added a category for YouTube videos by the CRC. 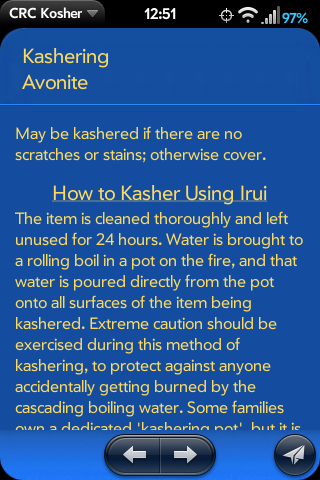 0.7.2 is a patch release.